When it comes to grilling, where there's smoke... there's delectable flavor! Using fresh herbs on the grill is a great way to add some spice to your life and layers of flavor to your food. 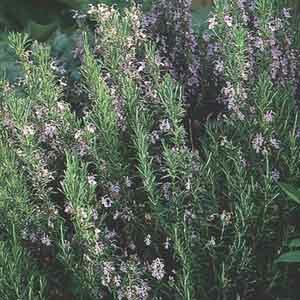 If you do not already have an herb garden, it's time to get one started! 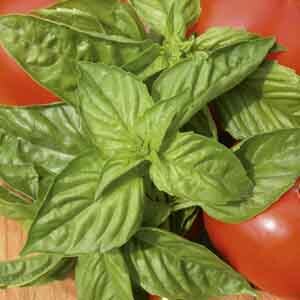 Herbs are very easy to grow and nothing compares to having fresh herbs readily available during the grilling season. There are countless ways to use herbs when grilling. However, just beware; trying these suggestions could cause your neighbors to wander over and ask; "What's for dinner?" Grilling alone adds delicious flavor to meats and veggies. To add a subtle, herbal layer of flavor to your grilled food, start by gathering a bunch of fresh herbs, such as rosemary, sage, and thyme and tying them with twine to one of your wooden cooking utensils to create a savory basting brush. Use your aromatic brush to apply oil, butter, or barbeque sauce while grilling. To add an herbal smokiness to 'culinary creations', soak a bundle of fresh herbs in water, once the coals are ready for cooking, place the bundled herbs on the coals along with the food you are grilling and promptly close the lid to trap the smoke inside. The smoldering herbs will infuse the grilled meats and vegetables with flavor beyond measure. For a tasty and unique twist on kebobs, use sturdy rosemary stems about 6-8" (15-20 cm) long as an herbal skewer. Simply remove the leaves from the bottom 2/3 of the stems, reserving what you remove for future use in marinades or rubs. Next, skewer the vegetables such as mushrooms, eggplant, summer squash, and cherry tomatoes from the bottom up. Brush the kebobs with a marinade or olive oil and season with salt and pepper. Marinades add juiciness, tenderness, and flavor to your food. Creating a fresh herb marinade can be as simple as plucking fresh leaves from the stems of herbs such as rosemary and cilantro, approximately 2 tablespoons (30 ml) each. Combine them with 1/4 cup (59 ml) of oil and 2 tablespoons (30 ml) of balsamic vinegar. Then season with 1/2 teaspoon (2.5 ml) of salt and freshly ground pepper to taste. Let your meat marinade anywhere from 30 minutes to 24 hours. You only need enough marinade to cover the meat completely with a thick layer. When selecting a marinade recipe look for flavors that will complement the food you will be grilling. Rubs are a combination of spices and herbs that add color, flavor, and texture to grilled foods. The purpose of using a rub is to enhance the flavor of the food without overpowering it and, they are a healthy alternative to using salt! There are two categories of rubs: dry rubs, which consist of spices and herbs only and wet rubs, which contain some moist ingredients. Making your own rub using fresh herbs can be as easy as sprinkling fresh, chopped herbs on your meat, and lightly pressing it in. Wrap the meat in plastic and place in the refrigerator before cooking. This allows the meat time to absorb the flavor from the various herbs. Go ahead and experiment with different mixes of herbs to create your very own tasty rub. You really can't go wrong combining freshly cut herbs with a day at the grill. Pick up some of your favorite herbs, and get them potted up!